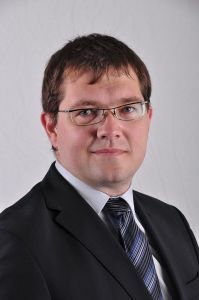 Gerhard Kreß is part of Siemens Mobility Customer Service, responsible for the Mobility Data Service. His aim is to strengthen the use of data analytics as enabler for new customer offerings. Before that he was in Siemens Corporate Technology responsible for implementing the corporate big data initiative “Smart Data to Business” and he worked for 3 years in Siemens Corporate Strategy in the corporate program to refine the vertical IT strategy for the Siemens businesses. There he was also responsible for setting up the Siemens big data initiative. Prior to his work in Corporate Strategy he spent 8 years working in Siemens IT Solutions and Services (SIS), managing systems and technologies for the global service desks and in the project management of major IT outsourcing projects. Gerhard Kreß started his professional career in McKinsey & Company, where he focused on growth initiatives and high tech industries. He holds a German diploma in Theoretical Physics and a Master of Arts in International Relations and European Studies.